We’d love your help. Let us know what’s wrong with this preview of Addiction and Virtue by Kent J. Dunnington. What is the nature of addiction? Neither of the two dominant models (disease or choice) adequately accounts for the experience of those who are addicted or of those who are seeking to help them. In this interdisciplinary work, Kent Dunnington brings the neglected resources of philosophical and theological analysis to bear on the problem of addiction. Drawing on the insights of Aristotle and Thomas Aquinas, he formulates an alternative to the usual reductionistic models. Going further, Dunnington maintains that addiction is not just a problem facing individuals. Its pervasiveness sheds prophetic light on our cultural moment. Moving beyond issues of individual treatment, this groundbreaking study also outlines significant implications for ministry within the local church context. To ask other readers questions about Addiction and Virtue, please sign up. Is there an alternative to describing addiction as a choice vs a disease? Dunnington contends that there is a neglected third category, that of habit, which has both voluntary and involuntary elements. He utilizes the analysis of both Aristotle and Aquinas to resurrect this category. He observes that this explains the "addiction paradox" in which addicts come to terms with their addiction by admitting their helplessness. For me, the most striking insight of this book was the proposition that the Is there an alternative to describing addiction as a choice vs a disease? Dunnington contends that there is a neglected third category, that of habit, which has both voluntary and involuntary elements. He utilizes the analysis of both Aristotle and Aquinas to resurrect this category. He observes that this explains the "addiction paradox" in which addicts come to terms with their addiction by admitting their helplessness. For me, the most striking insight of this book was the proposition that the prevalence of addiction in our age corresponds to our lack of a teleology, a sense of one's ultimate end. Addiction, he argues, provides a unifying factor in lives lacking in focus. And this, he argues, shows the place of the gospel in providing an alternative to the false worship of addiction. There can be one passion that is not an addiction and yet can be endlessly pursued--and that is the pursuit of God. The link between the modern disease model of addiction, and the historic witness of Christianity that addiction is a sin (and therefore contains an element of free choice)is puzzling. This book explains how a person can both be enslaved, and accountable, through the lens of habit. It is academic at the beginning but gets more accessible toward the end as Dunnington explores the implications of his work. Highly recommended. In the preface Dunnington asserts, "The power of addiction cannot be adequately appraised until addiction is understood as a misguided enactment of our quest for right relationship with God." This statement may surprise, shock, or horrify perspective readers. I've heard things like this before. But rarely does a book actually deliver the necessary steps between a reader's pre-understanding and substantiating the author's claims. All the steps of the argument are at least here. This is actually a In the preface Dunnington asserts, "The power of addiction cannot be adequately appraised until addiction is understood as a misguided enactment of our quest for right relationship with God." This statement may surprise, shock, or horrify perspective readers. I've heard things like this before. But rarely does a book actually deliver the necessary steps between a reader's pre-understanding and substantiating the author's claims. All the steps of the argument are at least here. This is actually a very high compliment. You may not agree with all the moves Dunnington makes (for evidential reasons or perhaps atheological presuppositions), but the book at least makes his case intelligible. And what's more, I actually find his case persuasive. If you want a careful and sensitive theological account of addiction, this is your book. Dunnington doesn't overstep with the theological claims he makes. Perhaps, in the author’s world, dogmatic assertions and rhetorical hyperbole are needed to gain acceptance for his positions, but there are times that his arguments come across as arrogant and insufficiently argued. That is the major reason I don’t rate this intriguing book any higher than I have. Perhaps, it is because of the author’s philosophical background that he sets up his assertions such that he might say, “If genes determined addiction, then every person with the ADH1 variant of the alcohol dehydrogenase gene would become an alcoholic…” (p. 23). Yet, notice that his wording emphasizes the verb “determined” as though one gene could determine anything. The reality is that genes create a predisposition. The fact that environment and personal choice may not reinforce or trigger than predisposition does not take away from the fact that it is there. To be sure, Dunnington doesn’t declare that the genetic code has “no” or “zero” effect, but his wording early in the book sets a tone for suggesting that it really doesn’t. One might almost suspect that an evangelical bias that claims that God can transform anyone completely lies behind such wording. Don’t get me wrong. I am an evangelical and I do believe that God can transform anyone completely, but that doesn’t mean I’m going to ignore science and ridicule opposing viewpoints that God might use to help in that transformation. It is also interesting that while Dunnington makes note of “Birkson’s bias,” the idea that patients who actually find something serious enough to seek treatment often have additional problems (comorbidity), and that Dunnington mentions this with regard to the lower effectiveness rate for addicts in medical treatment over those outside of medical treatment, he goes on to insist that this argues against treating addiction as a disease (p. 26). Of course, to be somewhat flippant, anyone who has watched an episode of House, M.D. has seen how comorbidity can mask symptoms and exacerbate other conditions. The faulty syllogism in this chapter seems to be that: a) medical conditions can only be considered a disease if medical treatment is efficacious and b) if a condition cannot be demonstrated as responsive to medical treatment, then c) such a condition is not a disease. Dunnington would be horrified at such an erroneous syllogism being used to describe his argument, but that is the way it comes off. Nonetheless, the book offers incredibly useful insights when it begins to address the “Why?” of addiction in terms of the voluntary/involuntary spectrum. He usefully cites St. Thomas Aquinas as believing that moral choices are voluntary and based upon desired results. For example, an individual “…may be predisposed to chastity,” but “…that person is able to act lustfully because she may reason that lust serves her desired ends.” (p. 29) Hence, Dunnington argues that we need to look at what the “ends” might be that the addict is seeking (p. 30). Aristotle, unlike those Christian counselors who very facilely label addition as a “choice,” recognized that there may be incontinent actions where one acts against one’s better judgment where there is no culpability, where one is influenced by environment or heredity such that one acts incontinently (p. 42). Yet, Socrates would have argued against this because Socrates didn’t believe that one would act against one’s better judgment except through ignorance (p. 43). Perceptively, Aristotle recognized that this reasoning (contra Socrates) was ignored because of two possible interruptions. Passion could short-circuit what one knew to be best and habit could short-circuit what one knew to be best (p. 43). This makes very good sense to me. Dunnington goes on to cite how bodily alteration can disrupt the deliberative sense when addicts are “within episode” (ie. starting to engage in the addictive action) and cannot “see” where their actions are leading them (p. 45). Aristotle might have referred to this as “impetuous incontinence” (p. 48). Interestingly enough, the idea of treating addiction as a “habit” is regularly shot at from two different sides. Those who believe addiction is strictly a disease see discussion of “habit” as a Trojan horse for the treatment of addiction as a choice and those who see addiction as strictly a choice conflate “habit” with “instinct” and insist that it is too deterministic. In reality, habit guards against both extremes because it is both voluntary and involuntary (p. 71). Yet, while one can easily understand how habitual tendencies, even addiction, could be driven by sensory pleasures as the “end” which one wished to achieve, Dunnington cites a smoker who says, “It isn’t pleasure. Simply smoking.” (p. 92) as well as a drinker who complained of his habit of being so need-driven that it was no longer pleasurable (p. 93). From such examples, he observes, “Intemperance pursues sensory goods; addiction pursues intellectual and moral goods.” (p. 95) He argues this by pointing out that the intemperate person still feels shame and moderates behavior (intake) accordingly, but for the addict, shame is an impetus that pushes one on the downward spiral—an absence of self-esteem (p. 96). As a result, Dunnington believes that addiction is ubiquitous in modern life because it compensates for moral and intellectual goods which are not easily accessible in modern life (p. 101). Essentially, he perceives addiction as one response to the fact that life seems to lack a comprehensible consensus concerning the goal (telos) of life within modern society (p. 104). “Addictive objects stand in for a rationally determinable telos because they are able to demand by other means—by means of addiction—a kind of absolute allegiance to a way of life that modern persons cannot attain through the exercise of rational inquiry into the best life for human persons.” (p. 108) This is the key to Dunnington’s thesis. He identifies addictions as being the “commitments” that seem lacking in modern culture (p. 110). Whether it is entirely adequate to an understanding of addiction, I am not certain, but I think it is a valuable insight and generally correct. Both anecdotally and in terms of sociological/psychological studies, I believe it holds essentially true. Another interesting insight was the citation of Roseanne Faulkner in describing addiction as “leisure malfunction” (p. 114). In that sense, addiction seems to be a choice away from the usual response to meaningless life via distraction. Addiction fills the void by entangling one into the lifestyle and consuming health, time, and wealth (p. 118). Another appeal of addiction is tied to the person who is lonely. Addictive substances tend to lubricate the social situation by reducing inhibitions, as well as establishing a network of people who share an uncompromising allegiance to a certain goal (getting drunk, getting high, getting laid, etc.) such that addicts eventually have trouble relating to non-addicts (p. 121). The theological section of the book attempts to clarify the basic misunderstanding of sin that caused Alcoholics Anonymous to excise such terminology from its literature. That understanding of sin is closer to the Pelagian heresy that contended that sin is always an act of the will which we as humans can choose to avoid (p. 129). The Christian idea of sin is that it is a condition where the human will is normally oriented in a direction away from God (p. 130). The idea of conversion, then, would be a change that orients the person in a direction toward God. So, the Christian idea of sin is not really one where one can simply make a choice and fix everything. One needs God’s intervention from purpose through attitude and into action. Fortunately, use of the term “habit” as properly understood can keep us from merely conflating the ideas of “addiction” and “sin” as coterminous (p. 134). Yet, “…in the absence of the eternal perspective implicit in the language of sin, we are not able to rightly characterize the ‘depth-dimension’ of the most perverse ‘pathologies’ that we encounter in the modern world.” (p. 139). When I read the chapter on addiction as “worship,” albeit counterfeit worship, I was amazed that Dunnington opted to go into a long discussion of “Charity” in order to argue his point. It seemed like it would have been sufficient to point out that as believers long to be embraced by God who is bigger than ourselves, addicts may long to be embraced by euphoria, vision, numbness, or freedom—all marks of the transcendent for which people long (as he cites on p. 158). Another reason believers go to worship is to seek guidance from their encounter with God. “Paradoxically, the addicted person loses control over her addiction exactly to the extent that the ordering and controlling power of addiction insinuates itself into her view of the world. …it is precisely because of its ordering and controlling power that the object of desire has become an addicting object.” (p. 151) Yet, measuring out one’s life in hits, fixes, etc. has its own calming effect (p. 152). In summary, “Neurologically addiction entails the interrelation and interdependence of vast systems of cells that have to do with comfort, confidence, identity, meaning, purpose—“ (p. 163). Addiction becomes a way of life that promises all of those factors just mentioned (p. 164). When Dunnington reaches the finale and speaks of addiction and the church’s response, he offers an interesting discussion about whether addiction can be considered “moral depravity.” He notes that self-deception, for example, is a result of moral awareness. The depraved person has no need to deceive himself or herself, but the moral person feels a need to rationalize. In the same sense, a depraved person wouldn’t deceive herself or himself about an addiction, but most addicts do. In that sense, we cannot characterize addiction as depravity (p. 174). Further, how could depraved people engage in the kind of honesty and accountability required in Twelve Step programs? Addicted persons aren’t good at meditation because meditation threatens to reveal the inadequacies the addiction is trying to cover up (p. 176). Addicted persons have trouble relating to the church because, “Christian identity is always relative. To say that we are sinners is not to stake out an identity but rather to name a relation.” (p. 181) As a result, it’s hard for the church to accept “Once an alcoholic, always an alcoholic…” We don’t seek to define and limit ourselves, but rather to open ourselves to God. A theological-philosophical interaction with the experience of addiction and a critique of "addiction as disease." This is a richer, more interdisciplinary approach than typical reductionistic treatments usually offered by evangelicals that brings Aristotle and Aquinas to bear on addiction, with lots of important implications for local church ministry. Pastors would do well to take these observations to heart. This is an excellent book on the pain and strength of addiction and philosophical views on the topic. A must read. Before the advent of AA, what we now call alcoholics were just plain old drunks, bums, or, less disparagingly, inebriates. What we now call alcoholism was a bad habit or vice, namely, the vice of intemperance (hence the Temperance Movement). Seen philosophically and psychologically, it was the product of a weak will. Theologically it was the product of sin. Neither view did much for the alcoholic. AA changed all of that. It popularized the terms "alcoholic" and "alcoholism" and gained widespread Before the advent of AA, what we now call alcoholics were just plain old drunks, bums, or, less disparagingly, inebriates. What we now call alcoholism was a bad habit or vice, namely, the vice of intemperance (hence the Temperance Movement). Seen philosophically and psychologically, it was the product of a weak will. Theologically it was the product of sin. Neither view did much for the alcoholic. AA changed all of that. It popularized the terms "alcoholic" and "alcoholism" and gained widespread acceptance for the idea that alcoholism was a disease and the alcoholic a sick person. The idea that the alcoholic suffered from a disease helped AA to account for the involuntary nature of his problem: the alcoholic had lost control over his drinking. He was “powerless” over alcohol. Its concept of a disease was unique. Reflecting the experience of AAs with medicine, psychology, and religion, it was understood as a “threefold” disease: physical, mental, and spiritual. Because experience seemed to show that the spiritual was the root of the disease, its treatment called for working a series of steps leading to a “spiritual awakening.” This would free the alcoholic from the obsession to drink and enable him or her to live on an entirely different basis. While the idea of addiction as disease caught on with the culture, the idea of a threefold disease never fared well outside of AA and the 12-Step recovery movement. Instead, the concept was deconstructed and reduced to the single fold of physiology. Addiction became a medical disease narrowly construed, i.e., construed “scientifically” as biologically determined. It was essentially a matter of genes and brain chemistry. Moving to the other extreme, some in what was now the recovery industry eventually started to challenge that view, arguing that addiction was not involuntary like a disease, but a voluntary choice. The alcoholic simply chose to drink. As its subtitle indicates, Addiction and Virtue (A&V) is an attempt to go beyond these two now dominant and opposing views: the disease and the choice concepts of addiction. Addiction, contends the author, is neither a disease nor a choice. It is a habit. According to him, the category of habit (as developed in Aristotle and Aquinas) offers an alternative to the disease and the choice models, both of which he claims are plagued with flaws and contradictions. Dunnington rightly argues that the disease concept understood in exclusively medical—in reductive and deterministic—terms is untenable. If addiction is only a medical disease, addicts should not be able to recover non-medically, that is, independently of medicine. But they do, by the millions. Hence the concept is patently false. We might also add what is a side but not an unimportant point, and this is the fact that few addicts recover solely through medical treatment. Most medically-based treatments work in tandem with one version or another of the 12-Step program. The fact that addicts can recover in a non-medical context is what led many in the “addiction studies” field to challenge the involuntary disease paradigm and argue that addiction is a matter of choice. On this view, what vitiates the addict’s will and makes him succumb to the object of addiction is not a disease but a character or moral weakness. But if the addict can simply will his own recovery if he so chooses, Dunnington points out, then he’s not an addict. The choice concept solves the addiction problem by denying the category of addiction. Drinking and drugging is just one more failure of will, no different from any other. Though couched in the contemporary language of choice, this view takes us back to the days before AA and erases whatever progress we have managed to make since. As Dunnington explains it, the category of habit offers an alternative to the disease-choice dichotomy because of its ability to account for both the involuntary and the voluntary aspects of addiction. This is because, on the one hand, a habit is formed in the process of repeated voluntary action over time. On the other hand, once it is formed, the actions that follow from the habit are largely unconscious and involuntary. We just do, more or less automatically, what we have become used to doing. Thus habit facilitates action. In a moral context, the action can lead to the formation of a good habit (a virtue), or a bad one (a vice). For Dunnington “Addictions are like virtues and vices in this respect, [in that] virtues and vices are habits that empower persons to pursue consistently, successfully and with ease various kinds of goods . . . habits through the practice of which human beings aim at the good life, the life of happiness” (96). Vices differ from virtues in that the latter actually do lead to the good life while the former don’t. In Dunnington's view, then, addiction is a vice. But it isn’t the vice of intemperance, as was generally thought in the past. The alcoholic is not just pursuing the sensory pleasures associated with drinking. He or she is not pursuing a life of hedonism. Instead the alcoholic is pursuing certain moral goods, “like the ability to communicate, being at ease with oneself, being unafraid and being part of a community" (94). As we say in the rooms, drinking makes us feel like we belong; it makes us feel comfortable in our own skin; it makes us feel confident. For a while anyway, it makes us feel that we are OK and life is good. If addiction is not the vice of intemperance, then what kind of a vice is it? To answer this question Dunnington reaches beyond the philosophical category of habit to the theological category of sin. Addiction, he asserts, is not the same as sin, but it cannot be understood apart from sin. For, insists Dunnington, the good life that the addict seeks can only be found in a right relationship with God. Addiction is a misguided quest for that relationship, a form of counterfeit worship. It is the sin of idolatry. Now, if Dunnington is right and addiction is a vice rooted in sin, wherein lies the solution? How does this understanding help the alcoholic to stop drinking or the drug addict to stop using? Dunnington doesn’t tell us. His is not a self-help book, he says. It is not meant to provide a list of steps or recovery principles. It is intended instead to help Christians “who rightly sense the spiritual significance of addiction . . . to articulate this significance in theologically substantive terms” (9). Yet if such articulation is not to be academic and irrelevant, it must have some practical application. And it does, but only as regards the church. “If addiction is false worship," Dunnington asks, "how should the church, which hopes to practice true worship of the true God, respond to addiction?” (169). Dunnington recognizes that such a question cannot be answered without taking into account the success of AA and the 12-Step movement. Indeed, throughout A&V he makes extensive use of the Big Book, the 12&12, and testimony from recovering addicts to support his own view of addiction. Hence one would expect him to find much of positive value in the 12-Step experience for the church to draw on. That is unfortunately not the case. Though acknowledging the church’s abysmal failure to help addicts, Dunnington sees AA and the 12 Steps—despite their undeniable success—as presenting more risks than opportunities for the church. Regrettably, much of the analysis that results from this outlook reveals a lack of understanding of how AA works and how 12-Step programs in general do help the addict to recover. This lack of understanding is in many ways baffling. Most baffling for a book that argues against the materialist, reductionist account of addiction as disease is its failure to even so much as mention AA’s alternative concept of alcoholism as a threefold disease. The book argues for a spiritual understanding of addiction and yet if ignores AA’s understanding that a spiritual malady is at the root of the physical and the mental illness in the alcoholic. It proposes a spiritual solution yet gives not the slightest consideration to AA’s solution of a spiritual awakening or experience. It advocates a distinctly Christian solution yet completely overlooks the distinctly Christian understandings underpinning the Big Book and the 12&12, including one of the most fundamental tenets of AA recovery: that we are sober by the grace of God. What, one may ask, is more distinctly Christian than the concept of grace? A&V’s inability to seriously engage AA is evident from the start. One of the book’s main arguments against the disease concept is that it “obscures the extent to which persons may be expected to take responsibility for their addictions” (10). Yet no one takes more responsibility for his addiction than the person in a 12-Step program who assiduously works Steps 4 through 12. In fact, the argument could be made that such a person takes more responsibility for her addiction than many Christians do for their sin. Saying that the disease concept obscures a person’s responsibility for his addiction is as questionable as saying that the concept of original sin or of being saved by grace obscures the sinner’s responsibility for his sin. The concept of disease, seen in spiritual terms as AA does, as fundamentally a “soul-sickness” (12&12, 49), is not at all incompatible with the concept of sin. Indeed, sin is often seen in orthodox Christian terms as being a disease, a spiritual one, indeed one with physical, mental, and emotional repercussions, just as AA says of alcoholism. Unable to appreciate the AA concept of a threefold disease, A&V is unable to grasp the AA concept of powerlessness. Thus we read that according to AA the “admission of powerlessness over alcohol is supposed to be the ‘first step’ toward regaining, in some sense, a power over alcohol.” By making this admission, “they [alcoholics] find access to a power sufficient to reinvigorate the once-impotent will” and make “the inroad to regaining power over the same behavior” (32). Nowhere does the Big Book or the 12&12 claim that we regain power over alcohol in any sense whatsoever. Our admission of powerlessness is the start of a humble surrender of an illusory power over alcohol which in the process of subsequent Steps allows the grace of God to enter the alcoholic and remove the obsession to drink from us. We are not given any power, strength, or control over it, nor is our will in any way "reinvigorated." This conception of powerlessness is the basis of the AA claim that “once an alcoholic, always an alcoholic,” a claim Dunnington degrades to the level of a “slogan.” Far from being a slogan, that statement is central to the AA understanding of what an alcoholic is. There are of course many understanding of what an alcoholic is, but in AA, an alcoholic is by definition a person who has no control over alcohol and therefore cannot drink normally or safely like other people. Once I become alcoholic, I do not stop being alcoholic. What that means in concrete and practical terms is simple: I cannot drink again, ever. AA doesn’t deny that habit enters into alcoholism any more than it denies that sin enters into it. It just doesn’t reduce it to either. Its concept of a threefold disease allows for both. Dunnington doesn’t seem to recognize this. Thus he claims that “Most addicted persons learn from their recovery programs and from a flood of addiction recovery literature to be averse to the language of sin” (126). That's not exactly how we see it. We avoid the language of sin in the rooms because of the stigma associated with it. We learn to avoid it because of our personal experience with religion. The attitudes of condemnation and shame it tends to foster is one of the reasons why alcoholics didn’t feel welcome and couldn't find help in the church. Though these attitudes have softened—thanks in large part to AA—they have not disappeared. Our negative experience with religion is one of the reasons why the Big Book emphasizes that ours is a spiritual and not a religious program. The number of people making such a distinction has grown exponentially since the start of AA and the 12-Step movement, and not just among those in recovery. But for Dunnington, as for other religious people, those who identify themselves as “spiritual but not religious” are just uttering a “platitude” (171). Such a dismissive attitude hardly makes religion appealing. Ironically, Dunnington’s own comments unwittingly highlight some such differences between religion and spirituality. This is illustrated by the assertions he makes about what addicts in 12-Step programs “must” do. “First, the addicted person seeking recovery must acknowledge a power greater than himself on which he is dependent” (he cites Step 3 as evidence). And “Second, [he] must adopt as his most fundamental identity that of “alcoholic or addict.” Thus “every time that a person wishes to speak in a meeting of Alcoholics Anonymous or some similar twelve-step recovery program, he or she must begin with the introduction, “I’m Joe, I’m an alcoholic,” or “I’m Sue, I’m an addict” (179-180, my emphasis in all three citations). Of course, these “requirements,” as he calls them, are not requirements at all. “The only requirement for membership,” reads the AA Preamble, “is a desire to stop drinking.” The fact is that “must” is not the language of recovery. It is the language of religion with its commands, exhortations, and injunctions. We have a name for that. We call it “musty” language. Had AA tried to use it on alcoholics, it would have never gotten off the ground. Indeed, that language and the pressure and coercion that went with it is one of the reasons why alcoholics split from the Oxford Group, which remained too much under the influence of religion even as it tried to distance itself from it. Following the split, AA consciously tried to fashion a different, less religious and more spiritual idiom. Step 3 doesn’t tell us what to do. If tells us what other alcoholics did that helped them stop drinking. The “decision to turn our will and our lives over to the care of God” comes gradually as part of a process of spiritual awakening where we come to trust God and surrender entirely to him. It is not a decision that can be imposed. It comes after we admit our powerlessness over alcohol in Step 1 and come to believe that God can restore us to sanity in Step 2. That admission of powerlessness is what leads us to identify ourselves as alcoholics. It too is an act of surrender and humble acceptance of a condition from which only God can deliver us. As I identify myself as an alcoholic, I am also identifying myself with other alcoholics. My admission is not an obligation. It is a recognition of spiritual fellowship. Dunnington shows a similar religious and erroneous understanding of the Steps when he suggests that after Step 1, “the other eleven steps can be understood as exhortations" (165). No they can’t. They are accounts of spiritual experience that works, spiritual principles practiced by alcoholics to stay sober and grow in recovery. AA’s reference to “God as we understood Him” in Steps 3 and 11 is criticized along the same lines. Anybody who knows the history of AA knows that this phrase was part of a necessary compromise between those who wanted to make AA an explicitly Christian program and those who wanted to rescind with religion altogether and make it a secular psychology program. Were it not for that compromise, there would have been no AA. Nevertheless, the insertion of that phrase in those two Steps (God is mentioned without qualification in Steps 5 and 6) in no way changes the understanding of God which is found throughout the Big Book and the 12&12, and understanding that we have already noted is anchored in the distinctly Christian concept of grace. These and other misunderstandings and mischaracterizations unfortunately detract from what is an otherwise carefully reasoned book. Dunnington’s is simply not a sympathetic view of AA. He gives it as little credit as he can. Hence his final take on the program. “I am convinced,” he writes, “that the twelve-step movement has been successful largely because of the way in which its format and method demand transformative friendships” (184-185). Format and method: a curious conclusion for a book written from a philosophical and a theological standpoint. In any case, that—not any content—is what the church should emulate. The sponsor-sponsee relationship is given as a prime example of how format and method can be used by the church to foster friendship and attract addicts to it. The problem is that Dunnington conceives of such a relationship as an Aristotelian “master/apprentice” relationship (188). Thus he cites the 12&12 as purportedly calling newcomers to recovery “novices” and invents a “sponsor/novice” and a “master” and “apprentice” relationship (188) that doesn’t exist in AA at all. Dunnington’s take reflects the kind of leaders-and-the-led type of relationships that predominate in church. AA is a fellowship of equals, not a hierarchical organization. We have no experts or teachers, no students or disciples. Nor do we place ourselves “under the authority” of “elders” or in “relationships of accountability” (189). No matter how many years sober she may be or how much experience she has acquired, a sponsor is just one drink away from a drunk, just like a newcomer. She simply tries to pass on, humbly and gratefully, what has been so freely given to her. What the 12&12 is talking about when it uses the word “novice” (60) is doing Step 5 with another person, that is, admitting the exact nature of our wrongs not only to God and to ourselves, but “to another human being”—who need not be one’s sponsor. The danger of “[g]oing it alone in spiritual matters” (60) was learned from the more religious Oxford Group, some of whose members thought God gave them direct “guidance” and so they had no need to check with others what that guidance was. This of course led to all sorts of presumptuous attitudes and behaviors. An excellent read that looks at what addiction is: a choice or a disease? Dunnington explores the third possibility of habit- he looks at the nuances of recovery and relapse, with and without treatment, and what the phenomenon of addiction says about our society. Lastly, he explores the role of faith and the church in an addictive society. Where have these failed? Do they offer a better solution? I'm genuinely surprised by how much I enjoyed this. I struggle with theology these days, but Dunnington speaks plainly within an actionable framework about meaning and transcendence and the fundamental aims of humanity. His arguments stretched me, annoyed me, and made me angry, but I enjoyed every moment of it. Written by a former professor, Dr Dunnington writes in a style which ought to be accessible to more than just the philosophically inclined. I'm not quite sure what his analysis does to actually help the church bring "new life to the addict" (194), but his discussion of "habit" as a third way of sorts between a disease and moral choice paradigm is helpful. This book is fuel for life. A writer demonstrating in fine fashion why the thought of Aristotle and Aquinas needs to be resurrected. His discussion of habit and incontinence is a fresh way of viewing not only any addictions we may have but the very character of our lives more generally. Fantastic. If most of the books in the series of Strategic Initiatives in Evangelical Theology are like Addiction and Virtue by Kent Dunnington, then Intervarsity Press is going to have a critically acclaimed, best selling series of theology books on their hands. Addiction and Virtue is a brilliant, interdisciplinary approach to developing a theology of addiction that has a lot to say to the church about its witness in the world and its life together. The thesis of Addiction and Virtue is profound. Put sim If most of the books in the series of Strategic Initiatives in Evangelical Theology are like Addiction and Virtue by Kent Dunnington, then Intervarsity Press is going to have a critically acclaimed, best selling series of theology books on their hands. Addiction and Virtue is a brilliant, interdisciplinary approach to developing a theology of addiction that has a lot to say to the church about its witness in the world and its life together. The thesis of Addiction and Virtue is profound. Put simply, Dunnington believes that both the model of disease and the model of choice when approaching addiction is insufficient in explaining the addictive condition. A disease model, taken to its logical end, takes away a sense of responsibility for the person experiencing the addiction, which in turn can sabotage an addicted person's ability to take responsibility for their addictive behavior. A choice model is limited in that fails to take into account the etiological factors that are outside of an addict's conscious control. Drawing from the philosophy of Aristotle and the theology of Aquinas, Dunnington attempts to account for addiction through the category of habit. Using the language and categories of virtue and virtue ethics, Dunnington believes that the idea of habit accounts for individual agency and responsibility, as well other forces that drive addiction that may feel or actually be outside of an individuals conscious control. Habit is formed by decisions, but it is also formed and influenced by upbringing, and complex biophysical drives and functions that are not easily explained. The understanding of addiction as habit also had meaningful implications for the church, and how people in the church approach one another. It also has profound implications for persons who identify themselves as addicts within local congregations, and how we provide care for them. The second half of this book addresses these implications in detail. One of the most profound thoughts in this section of the book is the idea that "Addiction is in fact a kind of embodied cultural critique of modernity and the addict a kind of unwitting modern prophet" (p. 123). The rise of the idea of addiction, the prevalence of those claiming to be addicts, as well as the effectiveness of AA in dealing with addiction all have a lot to teach us about who we are as modern Americans. Specifically, dealing with addicts can help the church in dealing with the emotional and social needs that all sorts of people all around us experience--not just addicted persons. What I find intriguing about the concept of addiction as habit is how it relates to the current language and philosophy of spiritual formation. Much of what we describe as spiritual formation is about the development of spiritually healthy habits through the exercise of what is commonly referred to as spiritual disciplines. Could recovery from addiction be thought of as a spiritual discipline? I certainly think it can. As a matter of fact, those seeking to develop holy habits could learn a lot from folks in the recovery movement. I think this is an excellent book. It is a must read for those interested in pastoral care, philosopy, and/or spiritual formation. It is "outside the box" thinking that is sure to become a standard and classic in a theological understanding of addictive behavior. (This book was provided by Intervarsity Press in exchange for an honest review). "Because recovery as conceived by A.A. is a technology of habit reformation, it demands vigilant attention to both the external and internal dimensions of sober action" (79). "Addiction is a complex habit" (88). "The scope of recovery is therefore radically extended within a Christian view of addiction. Indeed ‘recovery’ does not sufficiently name the Christian hope in the face of addiction. Instead the Christian hopes for ‘discovery’ and ‘new creation’—not a return to some maintainable equilibrium between who we are and what we want but rather a transformation of the self that brings who we are and what we want… into perfect coordination and harmony" (183). I just finished Addiction and Virtue. I enjoyed the author's treatment of the subject and especially the emphasis on the Aristotelian and Thomist virtues. The author makes a strong case demonstrating the false dichotomy of the usual arguments seeking to define addiction as either a failure of moral choice or disease. Without denying either outright, he shows a third element based on the idea of "Habitus" (translated as 'habit'). He also shows that beyond this there is something else about addicti I just finished Addiction and Virtue. I enjoyed the author's treatment of the subject and especially the emphasis on the Aristotelian and Thomist virtues. The author makes a strong case demonstrating the false dichotomy of the usual arguments seeking to define addiction as either a failure of moral choice or disease. Without denying either outright, he shows a third element based on the idea of "Habitus" (translated as 'habit'). He also shows that beyond this there is something else about addiction that is very important for the Church to address--addiction as worship. The addict is portrayed as often seeking something to give their life focus and direction the way the virtue of 'caritas' is supposed to do for the believer. Profound and illuminating. This draws on Aristotle and Aquinas to develop an explanation of addiction, and cites many modern autobiographical materials to strengthen the case. Chapter 5 will rock your world. I must criticize two things: the scant detail he includes of scientific surveys to bolster his philosophical argument, and the theology throughout. His entire argument really hinges on those points; I can only assume by his intelligence elsewhere that the author purposefully neglected them. H Profound and illuminating. This draws on Aristotle and Aquinas to develop an explanation of addiction, and cites many modern autobiographical materials to strengthen the case. Chapter 5 will rock your world. I thought this book was absolutely wonderful. It is written from a philosophical stance so be prepared for some slow, deep reading at times. However, it is well worth the time invested. Takes a whole new approach to the problem of addiction by looking at it through Aquinas' view on habit. It will enrich your knowledge of addiction and help you gain some insight into this formidable foe. 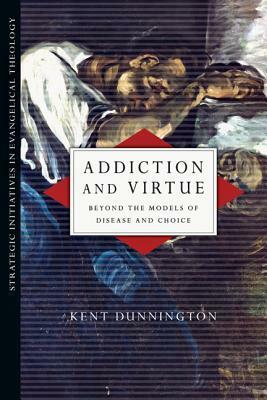 Dunnington argues that addiction is neither a simple choice or a disease, but falls within the category of habit as defined by Aristotle and Aquinas, and is ultimatley a powerful form of idolatry. Concludes with a helpful call to the church to be a community that calls for passionate worship and true friendship. This is a good theilogy of the recovery movement. Groups like CR or 180 excvhange should embrace this book wholeheartedly. it will not be embraced fully by all twelve step groups, butthey should be wrestled with by those within those groups. Some difficult reading from both an emotional and academic stand point. Yet, I am glad I read the book and garnered a bit different perspective on the issue of addiction. Loved this both personally and for sermon preparation. A great alternative to the most common perspectives on addiction. One of the best and most relevant philosophy texts I've ever read. Impossible to overstate its importance for understanding addiction. Kent Dunnington, associate professor of philosophy at Biola University, California, teaches and writes in the areas of virtue ethics and theological ethics. Other research interests include addiction and criminal justice, inspired by his experiences teaching in prison.